إن فندق فندق هيرتيدج جيتواي بموقعه الممتاز في هذه المنطقة السياحية هو نقطة انطلاق جيدة لنزهاتك في هذه المدينة المذهلة. يمكن من هنا للضيوف الاستمتاع بسهولة الوصول إلى كل ما تقدمه هذه المدينة النابضة بالحياة. يضفي محيط الفندق اللطيف وقربه من أكثر المعالم السياحية جذبًا سحرًا خاصًا على هذا الفندق. إن فندق هيرتيدج جيتواي حريص على توفير الراحة للنزلاء، فلا يوفر الموظفون جهداً في تقديم أفضل الخدمات وضمان حسن الاستقبال. إن مرافق مخصصة لذوي الاحتياجات الخاصة, واي فاي في المناطق العامة, موقف سيارات, غرفة عائلية, مطعم هي جزء فقط من الخدمات التي تميز فندق هيرتيدج جيتواي عن باقي الفنادق في المدينة. استمتع بوسائل الراحة الراقية في الغرف أثناء إقامتك هنا. بعض الغرف تتضمن بياضات, تدفئة, مكتب, تلفزيون, ستالايت/قنوات مدفوعة لمساعدتك على استعادة طاقتك بعد يوم طويل. يقدم الفندق العديد من الفرص للاستجمام كمثل حديقة. إن فندق هيرتيدج جيتواي هو خيار ذكي بالنسبة للمسافرين، فهو يوفر إقامة هادئة ومناسبة للاسترخاء. 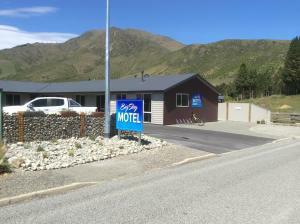 It was an acceptable hotel for one night on our way from Christchurch to Queenstown. The room was spacious and shower was functional. On site restaurant was empty but it was still not easy get anybody to serve us. (in addition, dinner was available only till 8 pm) so we decided to eat outside. The staff were generally friendly and helpful. Check out time was 10 am. We were a bit slow checking out due to bad jetleg and we were shouted at by the cleaning staff. We would prefer to stay elsewhere next time. The staff could not find my booking in their system. After much hassle, they have found it through their emails before assigning us a room. The interiors of the room is outdated and I found stains on the bed. In general it is okay for me. However, one of the rooms we had have bed bugs. One of my friends was eaten by bed bugs. The rooms that face north get hit by the afternoon sun, which heats them up to uncomfortable hot boxes in summer. There was no air con to deal with this, and staff could not even give me a simple fan. Even at night when the sun went down, sleeping was very difficult. Despite being a hotel with a motel look and appearance it was excellent value by providing comfortable and clean accommodation without all the frills of a luxury type hotel. 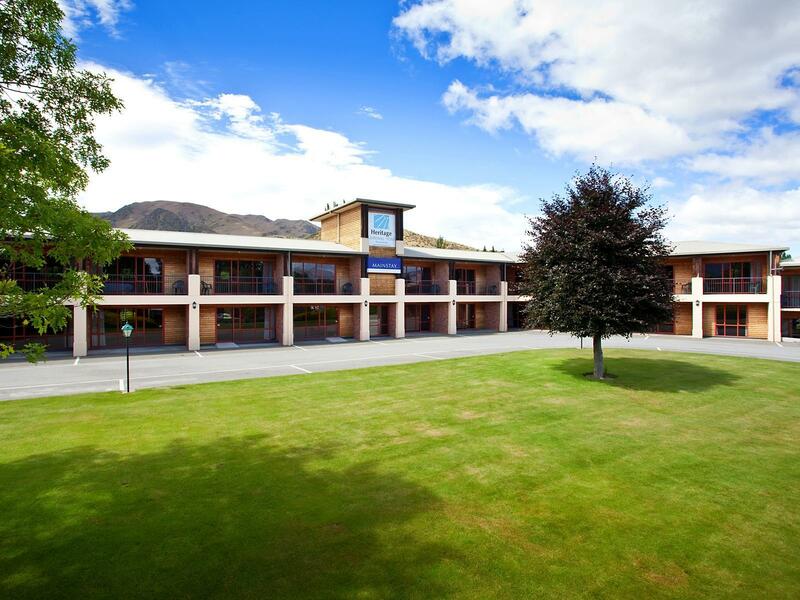 This hotel is in a good location and a good journey break when travelling between between Christchurch and Queenstown as well as a comfortable journey to Mount Cook.. Rooms were extremely hot with no way of cooling them down, no aircon or fans. Rooms were very dated, looked like they had been built in the 80s and nothing been touched since! Rooms where clean and staff were friendly. Rooms where over priced and more like a motel than a hotel! Useless staff, no help at all. We had faced the extremely hot weather for our stay and the hotel has no air condition and no fan. Staff has no interest, at check out they were confused with payment witch had been processed by Agoda. Room is clean and well furnished for the price. Interior and equipment are a bit dated and could do with a refresh. Bathroom is nicely sized. Wifi works at times, during peak period couldn't login at all. Overall a decent and comfortable stay. Tons of fresh vegetables, raw and cooked, plus an excellent chicken curry (and roast and lamb). Try the lemon tarts for dessert, if offered. They wee wonderful! There isn't a lot do do near the hotel and not a lot of dining options. With that said, I was pleasantly surprised with the dining options offered at the hotel. The bar had a nice happy hour, and the restaurant offered a buffet dinner as well as their regular menu. All seemed a good value and good quality. Parking is a bit scattered and the reception is hidden in a back building. They could use a bit better signage, but once I found it, the staff were very pleasant. I think they may cater to bus tours but that posed no problems. The room was clean and everything worked okay. The only negative was that there is no free internet in the room. There was, however, a very good value dinner buffet and a hot breakfast.